Here's a look at some of the reactions from inside the stadium, on the streets, and even inside the White House. While the bigger picture of overflowing streets and deafening crowds is awe inspiring, even better were the individual reactions of fans who have waited a long, long time to see their team make it to the World Series. Cubs fan in security line at O'Hare letting frantic people jump ahead of him, saying: "All the stress in my life is gone. I'm stress-free." #Cubs win! Best friend & I were blubbering incoherently on the phone. It was wonderful! From the highest office in the nation to one candidate competing for the presidency, there were many around the country happy to see the "C" make it. 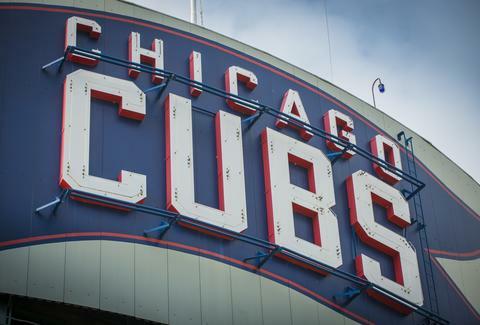 The @Cubs have played 11,309 games since their last World Series appearance. The Cubs will face the Cleveland Indians in the 2016 World Series, which starts Tuesday in Cleveland (because two players from Kansas City hit home runs during the All-Star Game). Expect more tears and joy if the Cubs are able to pull it out.